Australian Wine Companion: Gruner veltliner – the next big thing? Gruner veltliner – the next big thing? There has been some e-discussion on the possibility of gruner becoming the next serious new contender for recognition. It has amazed me that it has taken so long for it to make its mark, initially through Lark Hill and Hahndorf Hill. In Austria it is grown side by side with riesling, and therein lies its strength and its weakness. Riesling in Australia shows us there are plenty of places where gruner should do well, the wine it produces having both character and longevity. The downwise is the ‘R’ word; if, despite all of the talk of a riesling renaissance, riesling continues to decline in importance collecting consumer disinterest, why should gruner veltliner succeed? Just because there is no obvious answer to this, it should not mean that gruner is a waste of time. There is plenty of room on the Australian viticultural canvas for a renaissance with riesling, gruner by its side. Click here to sign up to the Wine Companion newsletter. 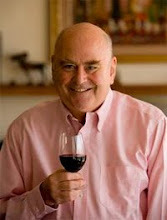 Copyright 2011 WineCompanion.com.au. Powered by Blogger.